The International Whaling Commission (IWC) has called on New Zealand to take urgent action to save the world's rarest dolphin from extinction, voicing "grave concern" about its future. Population numbers of the Maui's dolphin, the world's smallest and scarcest sub-species found only in waters off New Zealand's North Island, have dwindled to less than 50, prompting fears it could reach the point of no return without strong action, including a ban on fishing in its habitat. The IWC, in a report released over the weekend, said not enough was being done to prevent the dolphins becoming "bycatch" to the commercial fishing industry. "The IWC scientific committee expressed continued grave concern over the status of this small, severely depleted sub-species," it said. "Existing management measures in relation to bycatch mitigation fall short of what has been recommended previously." The IWC said Wellington had been saying since 2013 that it was researching the issue, but it had not taken any steps to rectify it. Barbara Maas, an endangered species specialist with conservation group NABU International, said the New Zealand government had repeatedly ignored the IWC's concerns. "The science is clear, if nothing is done then the Maui's dolphin is gone," she told AFP. "What's needed is action, not more research. This is a huge indictment on New Zealand." Maas estimates only 42 Maui's dolphin are left, with perhaps a quarter of those comprising breeding age females. She has called for a boycott of New Zealand's billion-dollar fishing industry, arguing it is the only way to force action on the issue. 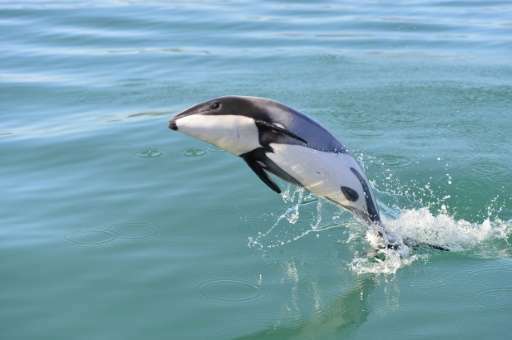 Greenpeace said New Zealand could not continue to trade on its "clean, green" image while allowing the Maui's dolphin to edge towards oblivion. "How many damning scientific reports do we need to see before the government agency actually does something," Greenpeace NZ executive director Russel Norman said. 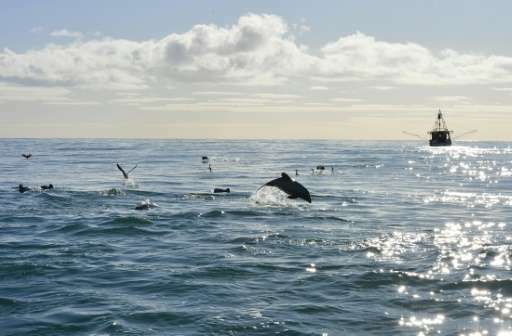 "Protecting New Zealand dolphins from extinction is part of what it means to love this country. We market this country on swimming with dolphins." The fishing industry argues the government has already banned trawl and set-net fishing in 6,000 square kilometres (2,300 square miles) of waters and there is no evidence Maui's dolphins exist outside this area.